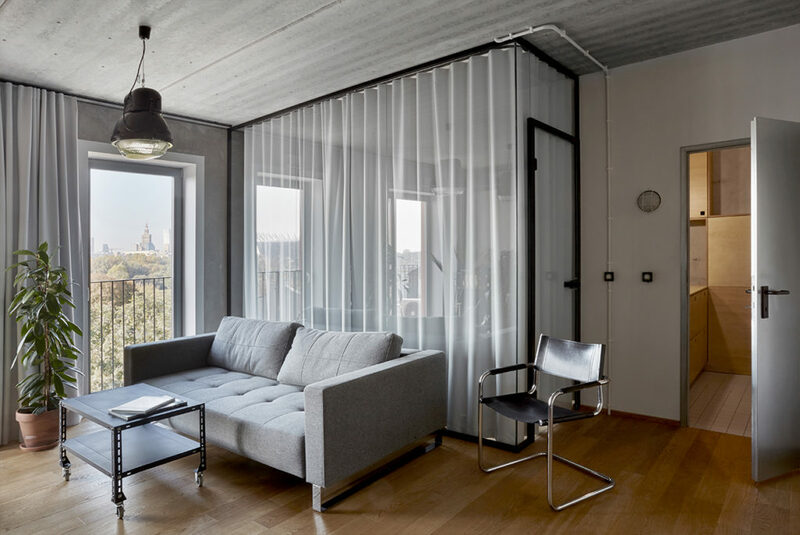 The interior of the apartment has been designed to extract and highlight the technological and architectural advantages of the building located at Sprzeczna Street, which is the first multi-family residential building built in prefabricated technology in Poland for many years. 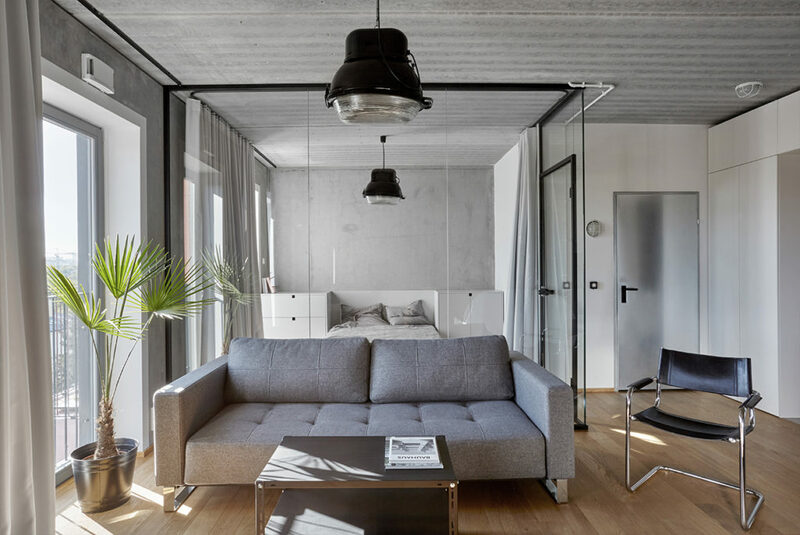 At the client’s request, during the construction of this facility, a two-room flat was left without internal wall and ceiling finishing as it is usually done in development standard. 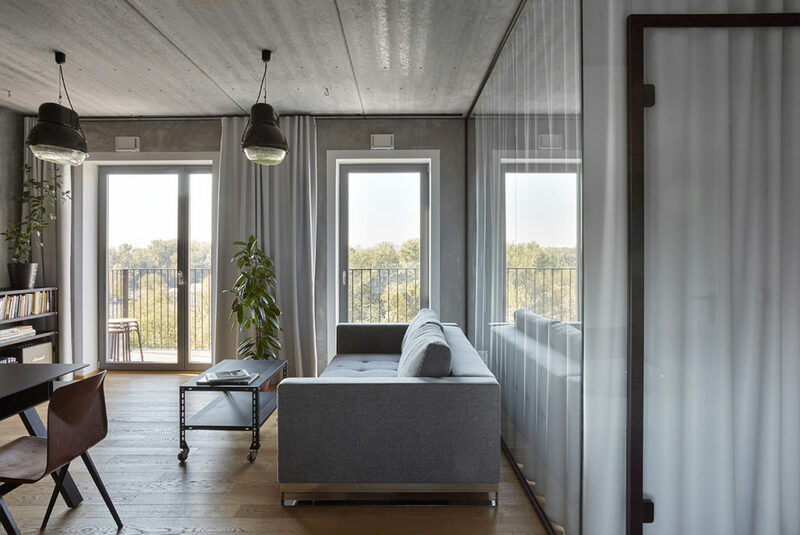 As a result, the technology of building construction from prefabricated reinforced concrete walls and ceilings has become a characteristic feature of the interior architecture at the same time. 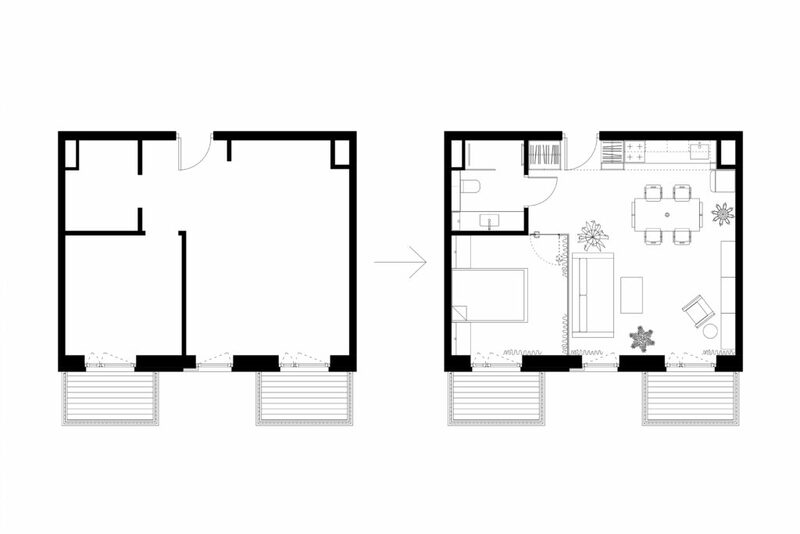 In terms of function, the apartment has a classic layout of double room dwelling, but with an emphasis on opening the space in the maximum possible way. 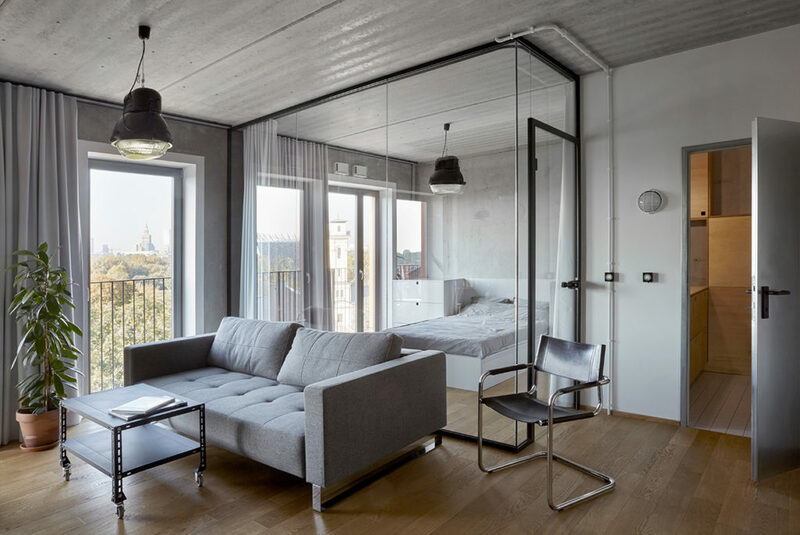 The brick wall between the bedroom and the living room has been replaced with a minimalistic glass wall system. 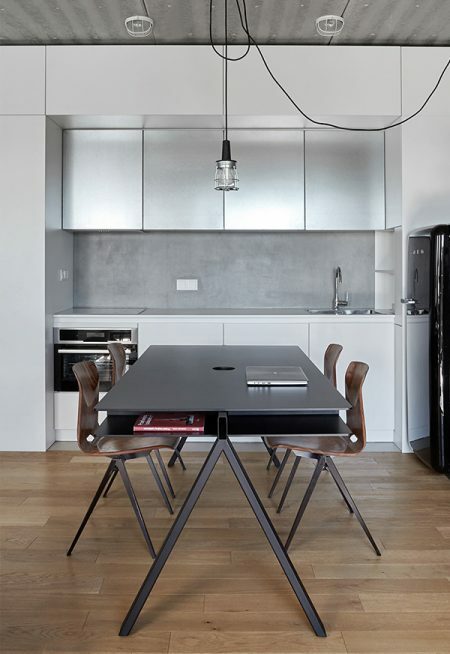 As a result, the interior of the flat in terms of the optical has become one-space, emphasizing automatically the exhibition of the concrete structure of the building. 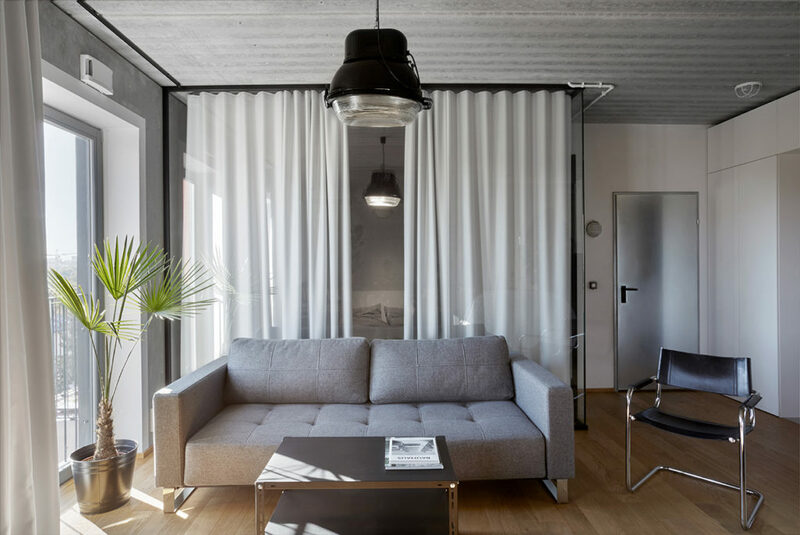 In turn, the use of curtains allows to shape the interior in various way during both day and night mode. 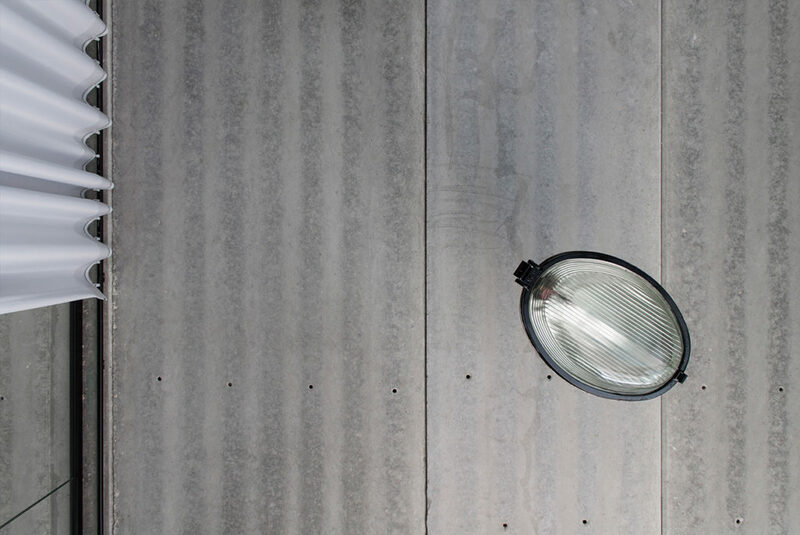 U-boot design) and economical expression of furniture designed with typical elements used in construction and industry.